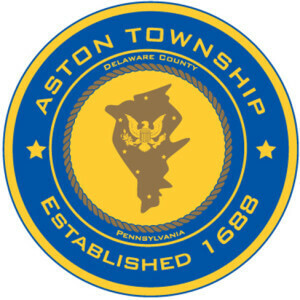 The Aston Township Board of Commissioners is committed to providing accurate and timely communication regarding the proposed expansion of the Delaware County Intermediate Unit’ s Aston Campus, located on Crozerville Road. We have established this section of the township website so that all official communication regarding the DCIU project can be arranged for easy access. The Aston Township Board of Commissioners is working diligently to ensure that all available information is made known through this venue or via official statements at these public venues. Birney Highway & Crozerville Road. Roundabout - Notice of Road Closure. The continuation of the DCIU Conditional Use Hearing has been tentatively scheduled for Monday, January 25, 2016 at 7:00 PM. The meeting will be held in the Commissioner's Meeting Room in the Aston Township Municipal Building located at 5021 Pennell Road. The meeting is open to the public. For updates regarding the DCIU, please check the DCIU Summary page on this site. The continuation of the DCIU Conditional Use Hearing has been scheduled for Monday, November 30, 2015 at 7:00 PM. The meeting will be held in the Commissioner's Meeting Room in the Aston Township Municipal Building located at 5021 Pennell Road. The meeting is open to the public. For updates regarding the DCIU, please check the DCIU Summary page on this site. The continuation of the DCIU Conditional Use Hearing has been scheduled for Monday, September 28, 2015 at 7:00 PM. The meeting will be held in the Commissioner's Meeting Room in the Aston Township Municipal Building located at 5021 Pennell Road. The meeting is open to the public. For updates regarding the DCIU, please check the DCIU Summary page on this site. The Aston Township Board of Commissioners has established the following date with the Delaware County Intermediate Unit to continue public hearing for review of the conditional use as proposed in the current DCIU land development proposal. The Conditional Use Hearing will be held on Wednesday, May 13, 2015 beginning at 7:00 PM in the Aston Township Commissioner's Meeting Room located in the Aston Township Municipal Building at 5021 Pennell Road. This meeting will be open to the public. The DCIU has submitted revised land development plans for Township review. The Aston Township Planning Committee will hold a meeting on December 10th at 7:00 pm in the Commissioner's Meeting Room in Municipal Building to review the plans. The revised plans are available for public review in the Township Building. September 23, 2014 - Aston Township Joseph Viscuso, PE, PLS of Pennoni Associates, Inc. has completed the following preliminary land development review as prepared by G.D. Houtman & Son, Inc. in connection with the referenced Aston Technical School - Delaware County Intermediate Unit (DCIU) project at 100 Crozerville Road.